I never really had a train set as a kid. 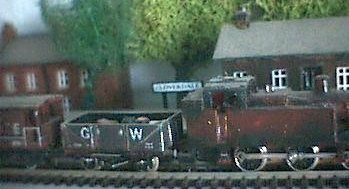 May be the odd toy train, but nothing that would amount to much of a "set", let alone a "model railway". 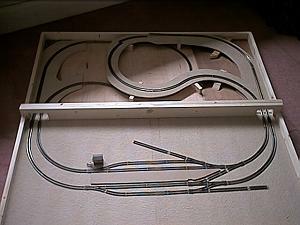 I started when I was about 30, with a Hornby set from Toys-R-Us! There were lots of try-out set ups, in OO and in N, both with and without scenery, and constantly "under construction". There are a couple of photo's on this page. 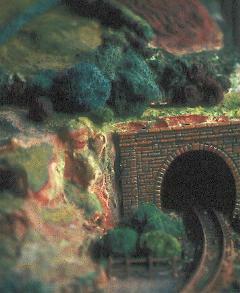 One day I will build the St. Elmo and Cloverdale Railway! One day I will put more photo's on this page.